The Y is an association focusing on the youngsters’ development, promoting a healthy way of living and on social responsibility. This association has a very long history in New York City, of 160 years. The Y has programs for all age groups, including older adults but the ones aimed at children are meant to help them grow up harmoniously. All programs are accessible with an appropriate membership and there is a city wide membership that allows one to enter all locations, depending on their needs. 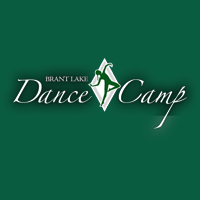 Brant Lake Dance Camp is a dance camp for girls between ages 11 and 16. In order to qualify for the camp program, your daughter must love to dance and there is no auditioning involved. The camp has more than 30 years of experience and teaches many dancing styles, from ballet to hip hop. Choreography is also taught to those who are interested. The camp goers can also participate in talent shows and competitions specially designed for the camp. RoboFun offers a lot of fun involving robots, for kids up to the 8th grade. The main purpose of this Vision Education & Media division is to initiate children in technology and multimedia with afterschool and summer camps programs. Birthday parties and various workshops are also available. The birthday parties can be tailored to suit the kids’ preferences while you have to inquire about the type of workshops and private lessons offered. The prices range from $40 and up to $200 or more for the workshops, while any other activity has its own fees as well. 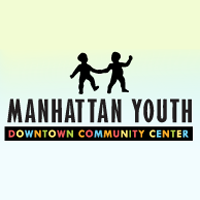 Manhattan Youth is a community center that centers its activities towards the kids, but people of all ages are welcome to join age appropriate programs. There are 500 activities and classes offered in a single week, all throughout public schools in Lower Manhattan. This community center has a history of almost 30 years and it started out with offering youth sport activities over the weekend. This center is also involved with helping the community after the 9/11 and the Hurricane Sandy events. If you want to teach your child about how to care about the nature then enrolling them at one of the programs offered by The Art Farm seems the easiest way of doing so. Their facility is ecofriendly and receives electricity from the sun. There are 8 programs offered here including watersport, animal pet, preschool and birthday parties. All activities are organized based on age thus kids will be in a safe environment at all times. Improv 4 Kids is a theatre program aimed exclusively at the young audiences. This theatre group organized over 3000 workshops both in New York City and across the nation. One of the main attractions of the shows is the participation of the audience in creating various play elements. The purpose is to educate, entertain and promote laughter to kids with the help of performing arts. The troupe has performed at military bases, schools, libraries, for charities, special events and more. Abrakadoodle is one of New York’s best destinations for classes, camps and parties revolving around art. The art classes are always fun and help build a kid's self-confidence while always learning something new. The art classes happen year round, and they include outsourced art education where kids can learn various techniques, art elements and more. The art classes themselves have special lessons like Kids on Canvas or Anime style and they’re tailored to suit the child’s age.